Come See Us at the Trade Shows! Don’t forget to register today for the Toronto Mode Show at http://www.mode-accessories.com/spring-summer_registration. It is taking place at International Plaza Hotel from January 25 – 27, 2015. 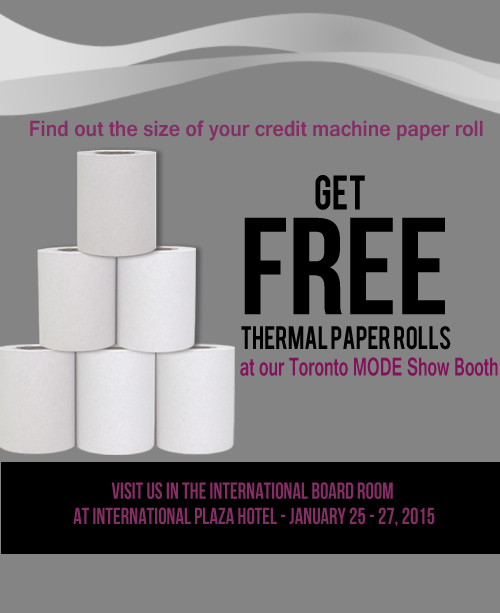 Come visit us in the International Board Room to get free thermal paper rolls. Please find out the size of your paper roll for your credit machine before you arrive. We will also be at booth #2600 and #2604 in the same building. 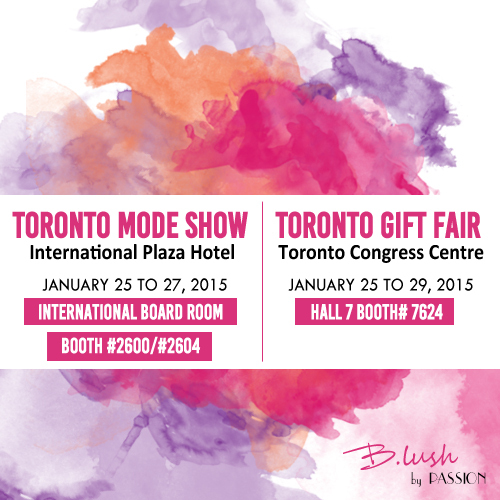 We will also be at the Toronto Gift Fair at the Toronto Congress Centre booth# 7624 (Hall 7) from January 25 – 29, 2015. You can register for the Toronto Gift Fair at http://www.cangift.org/Giftshow/TR/Main.aspx?pid=Registration. We will be launching our Spring 2015 line of handbags and accessories at this trade show! Come to our booth to see new vegan leather handbags in embroidered details and vibrant colors. We will also have a variety of printed scarves, gorgeous jewellery, hats, and other accessories there as well. Visit us at our booth for trade show specials. We look forward to seeing you there!